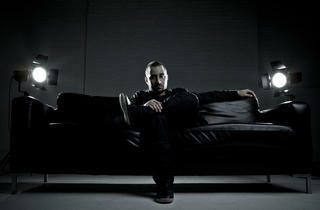 The ascendant techno star Joseph Capriati plays at Output. You may not be familiar with the Italian DJ-producer Joseph Capriati—but if you’re into festival-sized techno, chances are you will be soon. He’s been a mainstay of Adam Beyer’s Drumcode label for the past four years, and has worked with Chris Liebing’s CLR crew; as you might expect from such company, his rhythms are driving, a little bit dark and a whole lot twisted. His sets are the sound of a trip through a techno wormhole on your way to a disco in some far-away star system (that’s what we’re going with, at least—your interstellar-travel soundtrack may differ). Capriati’s taking control of Output to play over the club’s massive sound system on Sunday, May 5th; until then, here’s an exclusive DJ mix from the man himself.